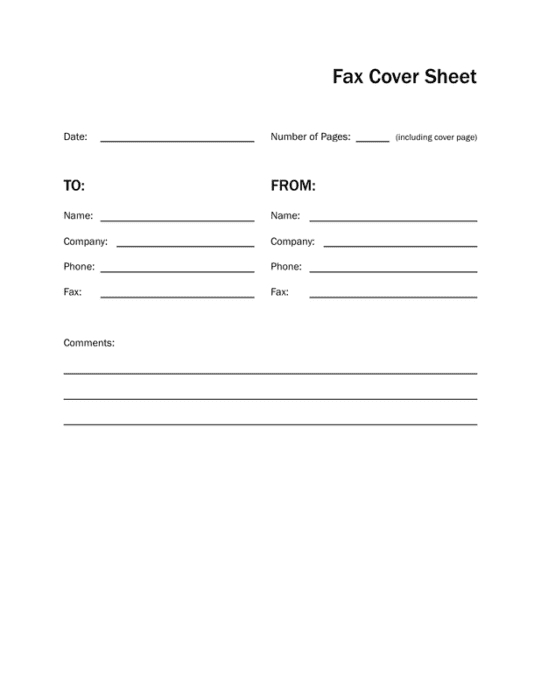 Simple and plain fax cover page with text fields using tables in Pages. Included in this template are spaces for the date, number of pages, two sections with information for sender and recipient, and ample space for additional comments or notes. 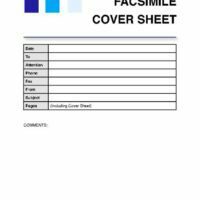 A simple fax cover sheet using tables in Pages.